Apple's iPhone XS and XS Max with iOS 12 went on sale at stores across the United States today Sept 21, 2018. Silicon-Valley based Pakistani-American Mudassir Azeemi was among the first to check out the new Urdu support features in Apple iOS 12 that came with the new iPhones. Mudassir has been working with both Apple and Google mobile operating systems to support Nastaliq Urdu fonts and Islamic ligatures such as ﷲ and ﷺ on their smartphones. 2015. I requested Apple to include the word ligature. That ligature is calligraphic version of salutation on Prophet Muhammad Peace Be Upon Him ﷺ and proper display of word Allah ﷲ. Guess what? It’s there! I just came to know about it today. I feel that Apple is the only company that really listen to you and make sure a superb experience for its customer. ﷲ ﷺ There are few more added : Alayhe Assallam ؑ, shorter version of Sallallahou Alayhe Wassallam ؐ, Rahmatullah Alayhe ؒ and Radi Allahou Anhu ؓ. PS: This is introduced in iOS 12. I just verified it." It all started when Apple included nastaliq font in iOS 9 Beta 1 after a persistent campaign by Mudassir Azeemi. Unfortunately, it was later dropped in the released version of iOS X. But Mudassir continued his efforts which bore fruit with iOS 11. 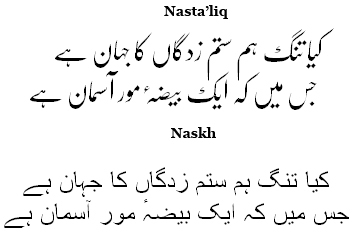 Apple has since dropped naskh in default mode and support only nastaliq in native mode for rendering Arabic, Persian and Urdu languages. 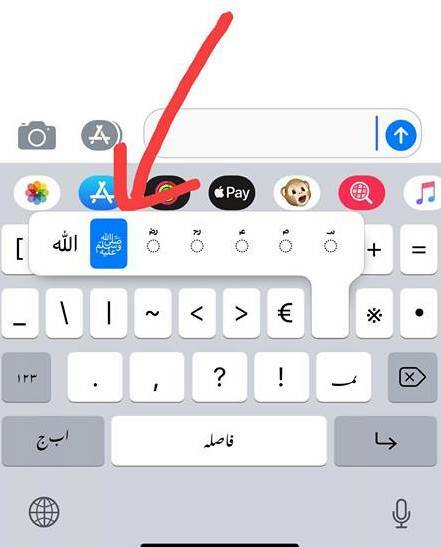 Apple iOS 12 operating system that came installed with the new iPhones supports Nastaliq Urdu fonts and Islamic ligatureApple's decision to drop naskh and include nastaliq as the default font for Urdu, Arabic and Persian is likely to have a major impact on all operating systems and social media platforms. It's welcome news for Urdu lovers like Ali Eteraz and Mudassir Azeemi who have been deeply unhappy with what they describe as "the death of the Urdu script".